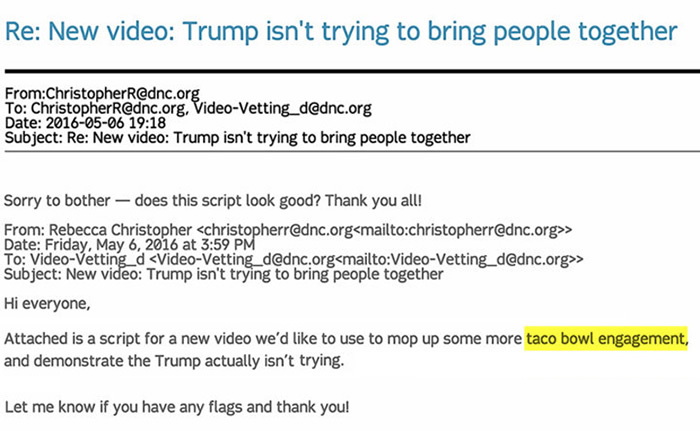 Claim: A recently-leaked DNC email referencing a “taco bowl engagement” shows the DNC’s disdain for Hispanic voters. 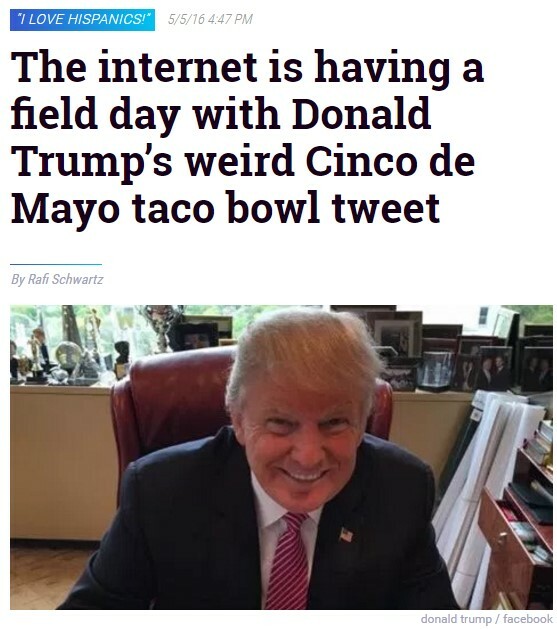 Fact: Given that the email is dated May 6th, 2016 the day after Donald Trump’s Cinco de Mayo Taco Bowl tweet, it’s more likely that the email was referring to the situation regarding the taco bowl tweet and the DNC’s campaign to capitalize off of the resulting controversy, not Hispanic voters. The recent Wikileaks dump of DNC emails reveals what appears to be some embarrassing back-and-forth within the DNC. While at this point the real emails have yet to be sorted from potential Russian-planted spoofs, some of these emails are going viral. While the email itself gives no context the assumption from some partisan sources is that this is a derogatory term for Hispanics/Latinos, demonstrating that the Democratic Party doesn’t take them seriously. 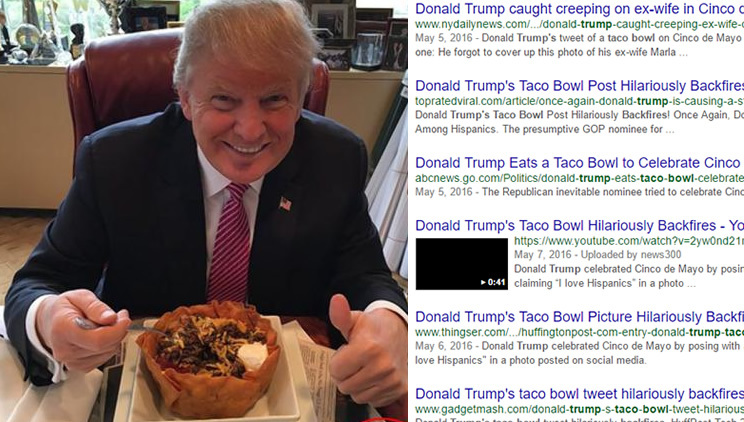 While an official explanation has yet to be released, the email appears to reference the DNC’s successful push against Donald Trump’s Taco Bowl tweet, which apparently backfired.